Carmax is a company that specializes in buying and selling quality second hand vehicles ranging from sedans, to SUVs and pickup trucks. It has over 170 branches and business centers in almost all the states of the US. The company is the brainchild of Richard Sharp. It was founded and developed in 1991, until it became the company it is today. With over 23, 000 employees, the company has garnered numerous awards due to its favorable working conditions. Some of these awards include America’s Best Employers by Forbes magazine, and inclusion in the 100 Best Companies to Work For by Fortune Magazine. By working with the company, an employee is sure to receive full health plans, paid time off, miscellaneous wellness benefits like employee assistance program, expecting mothers program, and life insurance. Being a part of the company has provided employees the opportunity to improve their knowledge in various sectors of used-car sales. The entire managerial and operational staff is also very accommodating of new and old employees alike. How old do you have to be to work at Carmax? For a full time job at the company, prospective employees should be at least 18 years of age at the time of application. In Carmax, applicants may choose from a variety of employment opportunities where their background and skill set are most suited. Job openings are generally categorized into auto finance, automotive servicing, store management, sales, and digital IT. Team Manager: A team manager is responsible for setting the overall tone for the team at the workplace. It is his role to ensure that the goals of the department and the company as a whole are met. The position also entails encouraging progress of other employees while maintaining a favorable quality of service for customers. Automotive Technician: An automotive technician is an expert in terms of the technical characteristics of different vehicles. He is responsible for diagnosing any problem a car may have. Subsequently, he is also in charge of repairing and reconditioning the cars that are in the company’s inventory. Paint Prep Technician: A paint prep technician’s main responsibility is to repair all minor damages of a vehicle. He is the one that inspects cars due for painting. He is the one that looks for dents or dips on the car’s body and fills them in with plastic filler, and then he preps the surface for repainting. Parts and Supply Associate: A parts and supply associate is responsible primarily for greeting customers in service areas. He then sets their car repair schedules, generates the bill estimates, writes work orders, and finally follows up with the clients to inform them of their vehicle’s status. The position also involves assisting technicians with regards to locating and receiving required automotive parts. Cosmetic Supervisor: Cosmetic supervisors ensure that all vehicles that are serviced are in good visual condition. They supervise and direct reconditioning technicians, painters, and detailers regarding what the outcome of the job must be. Finally, they inspect the output and make sure of optimal vehicle flow through the work areas. Sales Consultant: Sales consultants make sure that vehicles in the inventory are sold to customers. They greet and inform clients regarding the services of the company. Consequently, they must suggest the best options for customers based on their personal needs and wants. 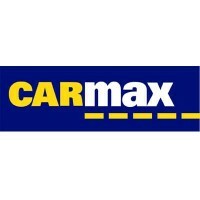 All in all, they are the initial force that ensures customers of an overall enjoyable experience at Carmax. Sales Manager: A sales manager oversees all sales consultants in the workplace. He trains and coaches them regarding all the technical aspects of being a sales consultant. He is also involved in screening and recruiting sales employees to add to the company’s workforce. Buyer: Buyers are responsible for stocking up the company’s used-car inventory by participating in automotive auctions, whether it is on-site or off-site. Buyers also negotiate prices of cars to be bought from individual sellers, as well as appraise them for overall condition before they can be added to the car inventory. Business Office Manager: Overall, a business office manager directs the daily business of marketing vehicles. He ensures that all necessary paperwork are processed accurately and immediately to guarantee customer satisfaction. A business office manager also trains and develops other associates assigned in the business department of the company. IT Security Expert: IT security personnel are in charge of safeguarding, developing, and monitoring the company-wide protocols for safety and confidentiality. The company’s information systems contain sensitive information and they must ensure that only the right personnel have access to it. They also detect and subsequently prevent any system failure that may affect the operation of the company. To apply, one must go to the Careers page in the company website, search for the position he desires, and subsequently choose the most convenient store location for him. Necessary documents can be passed online via the company’s website. Job openings are listed and sorted at the company’s jobs and career page. From there, an applicant may sign in and then apply for any position in any store branch he wants. Before applying, one must be sure that he has read and understand the job description of the position he is applying for. It is also suggested to apply for only one position at a given time. Resume and other supporting files must be concise. It must highlight only the applicant’s basic information and qualifications. All other unnecessary details must be omitted to improve the resume’s readability. During interview, it is best to study first the general information about the company. Knowledge in Carmax radiates the thought that the applicant is really interested to be a part of the team. The culture at Carmax revolves around values. The company focuses on teamwork, diversity, respect, fun, and development for its employees. As an institution that promotes togetherness, internal celebrations are conducted to reward successes of the company. Improvement of employee benefits from the company is seen to be steady for the last years. In fact, just recently, the company announced its plans to give its associates a one-time 200 up to 1500 dollar bonus. With the company, employees are sure to reap the benefits of the company’s famed career growth opportunities, updated trainings, just compensations, and overall career development. To give back to the community, Carmax has established a foundation which focuses on different areas like youth leadership, education, and health of children. It also recognizes associates that showed exemplary volunteer efforts to their community by awarding various community service awards. 1 How old do you have to be to work at Carmax?